Knicks fans are in for a treat with these beauties. While the New York Knicks have had an abysmal season, sitting last place in the NBA with a 10-47 record, there is still a bit of hope as the team could end up with the first overall pick which they would most likely use to take Zion Williamson. Things may look bleak right now, but it appears as though Nike is taking steps to give Knicks fans at least something to look forward to. Yes, that's right. 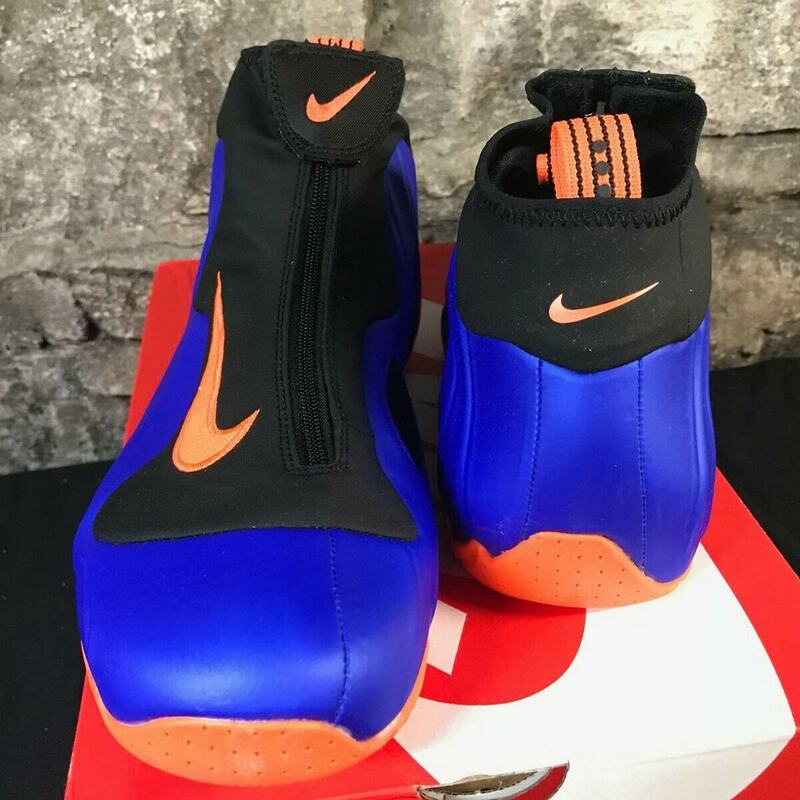 The infamous Knicks colorway of the Nike Air Flightposite that was worn by Allan Houston the year the Knicks went to the NBA Finals against the San Antonio Spurs. The Knicks may have lost, but it was still a special year for the squad. As you can tell from photos, the primary color here is "Knicks" blue with orange on the outsole and the Nike swoosh. Meanwhile, the tongue and cuff of the sneaker are black. The Knicks inspiration here is fairly obvious and these kicks will definitely be a great addition to any New York sports fan' s collection. Considering all of the Knicks-inspired shoes out there, these would look good amongst them. According to Sneaker News, these will cost $200 USD and will be released sometime in March.